Power and propulsion system is said to reduce fuel consumption by controlling engine speed on platform support vessels. 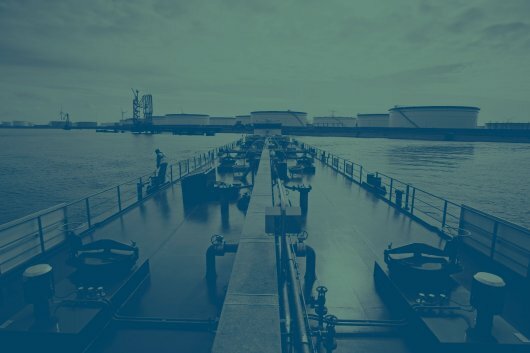 General Electric's (GE) power conversion business has unveiled a new power and propulsion system that is said to reduce fuel consumption by controlling engine speed on platform support vessels, at Houston's Offshore Technology Conference (OTC). The Variable Frequency Active Front-End power and propulsion system, or VF-AFE, enables ship owners using conventional power system components to lower engine speeds when feasible, cut fuel consumption and reduce emissions and maintenance requirements. "We are increasing efficiency of existing technology for the benefit of our customers," said Paul English, marine leader of GE Power Conversion. The VF-AFE system allows the use of conventional power system components (main switchboard drives, etc. ), so learning how to operate it is said to be "relatively easy" and require minimal training. When a support vessel is operating in dynamic positioning (DP) mode, the load on the engines is reduced just to counter the effect of wind and waves, but all engines are kept running in order to provide redundancy. This means that if the power from one engine is lost, power is still available from the others to keep the vessel in position. This arrangement, while effective, is not the most efficient. With VF-AFE, all the engines remain connected, but their speed can be cut when the load is reduced. "We have made a calculation based on specific operating conditions, assuming a fuel price of $900 per ton," commented English. "We estimate that with the engines loaded at 50 percent of rated load for a full year on a ship with 8 megawatts of installed power operating for 300 days a year, 24 hours a day, the fuel savings could be up to $300,000 per year." The active front end drives more than just the engine. Auxiliaries onboard the vessel still require a fixed frequency, so extra equipment will be needed to convert the variable frequency from the VF-AFE into a fixed frequency. This requires an additional investment by the customer, but even so, GE estimates that the return on the total investment is achieved in less than a year. "This solution is unique to GE," said English. "We have looked at what can be done with existing technology that customers are using and have engineered a way to make this existing technology, that a customer is comfortable with, more efficient." The VF-AFE uses a version of GE Power Conversion’s MV 3000 low-voltage drive that has been modified to make it more compact. "This is another example of GE learning from experience and listening to its customers," said English. "Feedback from customers was that the footprint of the MV 3000 was rather large, so we have acted on their comments. Once again, we are maximizing existing technology. The MV 3000 for the VF-AFE is existing technology, repackaged." As with other advanced systems that GE is introducing at OTC, VF-AFE systems will be Visor-enabled; which means that GE engineers will be able to monitor them remotely. "We will use Visor, not only for maintenance purposes for the direct benefit of customers, but also to improve our understanding of the benefits they are getting from VF-AFE, so that we can possibly make further improvements to it," remarked English. GE says it plans to build a demonstrator for the VF-AFE at one of its marine technology centers. In the future, this will enable the company to show customers the benefits of DP operation.